Character Choices and Draco Demands Many Cyndaquil! Draco has been working on his novel. It’s turning out fairly well. A part of Draco wants to take it into a game(a la visual novel or rpg( Kind of like those Lonely Wolf Treat games Draco always recommends to you.)) but for now it’s about getting the story out. Also That’s like twice the typing when Draco isn’t even half way to the middle. It’s not that Draco isn’t writing much, it’s that Draco like to let characters do essentially whatever they want. Draco rewatched the first episode of Inuyasha the other day and the sequence of events pretty much describe exactly what Draco means. So Kagome gets attacked by a demon, dragged through time, and finds a guy pinned to a tree with an arrow. She notices the guy has cute doggy ears and instead of doing what you’d expect and helping the guy even slightly or just assuming he’s dead and worrying that the space that was once her back yard was now a forest she decides “Hey! I want to touch those ears.”. It would have been a whole lot easier to have her go “Oh no! This Strange Dog Boy needs my help” and have her accidentally free the initially angry half-demon but nope. So Draco went on a herding cat trial. It takes longer when one character decides they have to go backwards because they want that one thing or instead of finishing an objective they get a new one but oh well. It’ll get there. Especially once more characters join the group. Anyway now that December is almost over Draco needs to find a December challenge. Well technically Draco could just do whatever. Finishing( AHAHAHAHAHAHAHAHA) November’s could be a thing but a drawing one would be preferable. Draco can hardly listen to any of the music he has while writing because either lyrics, catchiness, or violently different mood. It’s hard to write some characters when the music playing is their antithesis. While drawing though it doesn’t really matter as much. The catchiness thing still applies but few songs are that catchy. Draco did find one or two good ones but one was marked as an October only challenge and the other was a thematic type of thing where you can write, draw, or do whatever the hell you want. Draco will probably just rebel against the October label and maybe apply the rest after. Other things Draco has to do include that Magical Diary( Which include replaying it because who can be bothered to remember stuff, right?) review, editing and recording stuffs, and catching a Cyndaquil. Draco’s first Pokemon, Draco’s favorite Pokemon. Draco bought Pokemon Moon strictly because in the promotional stuff they said you can get a Cyndaquil. Draco thought it would be like Pokemon X & Y where they were so drunk on Mega-Evolution that they threw the original starters in your faces. “We didn’t come out with iconic enough starters this time around so if we want Mega-Evolution to succeed we better roll out the Charizard.” was probably what they were thinking. X & Y definitely weren’t the best Pokemon games. Mostly the professor was creepy. Anyway it’s amazing how they added dialog choices, pokedex entries that suggest an actual ecosystem, and an entire year( an 11-year-old instead of the usual 10)! Also they did that whole island atmosphere so well that Draco has spent more money on drinks than pokeballs. Clothing is pretty cool too btw. Draco bought sunglasses that according to Draco’s poor conversion rate memory would cost about $550-610 USD. That’s a stupid purchase and it’s pretty cool they got Draco to pull the trigger. In all the other games Draco ended up rich but here that seems unlikely and Draco is only about half way through. That’s the problem though. Draco now knows that you can only get Cyndaquil by scanning a group of 10 QR codes every 20 hours or so on the first island assuming you don’t get a different Pokemon. They offer all of the gen 2 starters and some other ones( supposedly it’s a group of twelve) but Draco’s been aiming for Cyndaquil since preording. Draco’s team composition is Cyndaquil based. If Draco had learned how to get Cyndaquil before getting to the second island Draco wouldn’t have gone to the second island. It probably would have ruined the entire experience. At this point Draco refuses to go to the third and it’s been several days. Draco really likes where the story is going but if Draco waits till the end to get a Cyndaquil it will just be a disappointment. Probably! Draco assumes it will be because everything after Crystal has been but maybe this will be different. Draco remains safely skeptical so Draco shall keep trying but the random nature is slightly disappointing. Draco did order a plush Cyndaquil off Amazon though so don’t worry no one needs to die yet. It is based on Hawaii though and Hawaii has volcanoes. kicking someone into one to jump-start the Cyndaquil process would be a nice option. Admittedly Draco would feel to guilty to do anything at that point but haha murder humor. Oh that reminds Draco of another thing! So now wild Pokemon can call for help. Sometimes the help doesn’t come. This makes Draco pretty sad most of the time; the poor Pokemon need help, they call to their friends, and the friend is like nope. Draco usually lets them go. Draco would appreciate if one of them had a Cyndaquil friend and maybe for taking it easy on them they could say “hey go be caught by that guy” or if RNGesus could help Draco out here and drop a box of them in Draco’s lap. The Wonders of Electricity and Labronbrium Powers You! The following post is brought to you by Labronbrium! A new fuel source that will replace electricity in a matter of years! So Draco was watching Dimension W which is an anime currently airing on Toonami. Its set in the future and it remind Draco of a major pet peeve with sci-fi and beyond. This problem is not at its worst in Dimension W, they make up for it with other things. The following will be more about generic less popular series. It exists in big name series but we’re going for a general overview. So it’s the future and magically in the future they find some new power source that is the best dang power source in the world. It powers your car, your house, your children, your dog, your gardener, your potatoes, basically everything. That’s all well and good but then for some reason it’s literally all they talk about. It’s great that they have this stuff but think about real life. When is the last time you talked about the wonders of electricity in casual conversation with a friend? These are shallow attempts to dump exposition and differentiate the world from the real world. All it really does though is take up valuable dialogue space with cheesy almost product placement like imaginary battery talk. If you’re writing sci-fi or anything and want to tell everyone about some magic energy, either show (as in show don’t tell) the tech in action or bite the bullet and say it once or twice… unless they just discovered the technology. Draco still remembers a time when cell phones hadn’t dropped the “cell” and electric toothbrushes hadn’t dropped the “electric”. It’s overuse that makes this annoying. If electricity just came out and Draco was talking to some friends maybe Draco would talk about an electric lamp or whatever but then other matters like horse grooming, arranged marriages, and sword fighting must be discussed. Don’t let the lamp take up your characters’ lives, sci-fi writers! Labronbrium isn’t real by the way. It probably should have been obvious from the theme of the post but it should really be made clear. Also no one sponsors us even though they totally should! Apparently it was in the poster or something and it was definitely in the movie. Want to guess what happens to it by the end of the film? Ya. It was really impressive how many correct decisions the empire was making and then you see this. Admittedly they did likely save money by hollowing out a planet(What Draco proposed we do to the moon well before this movie came out cough cough cough) but since it met it’s obvious fate and took countless new and improved resources with it the endeavor clearly wasn’t worth it. At the very least Kylo Ren does seem to have a bit of common sense with his proposal to bring back clone soldiers but sadly he is taking orders from Kronos of the Marvel universe (Supreme Leader Snoke (Lame name )). The need intelligent leadership almost as much as the “Resistance” needs to use not an X-wing for their espionage and bombing operations. Like you have ships call “Y-wing bombers” and you use an X-wing for it? Jeez. Anyway we need Grand Admiral Thrawn. He is icon, marketable to merchandisers, and could actually do things that make sense. For real though you can see the Lego, the Funko Pop, the… other thing. Action figures, t-shirts, Halloween costumes. Sell sell sell! Don’t get Draco wrong though the movie is great. Super super nostalgia beam. Strong enough to destroy a million planets. A million planets in the shape of a heart. In a good way. Only one bit felt too fanfictiony(What are the odds they just randomly find the Falcon? And no don’t tell Draco the odds.). The final scene was glorious and in the future we’ll probably call it iconic. Very well done. The atmosphere seemed like it was thought out which is appreciated. Upon further thought it did everything that Star Wars Battlefront didn’t. It handled the franchise with respect and recognized what actually makes Star Wars good. Draco saw Minecraft Story Mode in a Redbox which was blue. First of all how would that even work when the physical version just has a piece of paper to download the digital version more than likely? Second why was the Redbox blue? It’s a Redbox. It’s meant to be red… and a box. Anyway this got Draco thinking about a topic. If something is expected to be absolutely awful and it’s actually pretty average (Not fantastic but there are some good points) is that worthy of praise. If you have low expectations you can’t be disappointed as they say. The problem is we shouldn’t settle for not disappointed. You are the best, Draco is the best, and the best deserve the best story of all time. Adequate shouldn’t be insulted because it’s perfectly fine but it should not be held with the best. That isn’t fair to the best and or you. Your feelings prior don’t affect the actual quality. Especially remember this when you go to see the new Star Wars. Many are going in thinking that about the prequels and the hype but you must cast your preconceptions behind and judge it for what it is. Thinking of Star Wars, Draco was thinking back to around when the trailer first came out and how the Empire made a decision Draco really didn’t agree with. At the end of Episode 6 it looked like they took some bad hits but in 7 it seemed like in the years since all they had done was change the armor design. One day while Draco was tweeting (If you already follow Draco on Twitter you basically know all the arguments about to be made) and such Draco realized this was the best decision by far. Since we’ve known the empire they’ve built Death Stars and then watched them explode. While they do spend quite some time planning and constructing them(less on the second one but still) the actual time they are operational can be estimated at around 3 days. According to all the expanded universe stuff that is still canon and common sense the last armor design lasted well over 10 years. When you lose a Death Star you lose the money, the hours, and the crew. The armor design likely improved the survivability of soldiers (They would go down in one hit before), will probably last for years, and most importantly it cost enough to stop these idiots for throwing away highly trained personnel and enough money and materials to cripple nations by making it into a big exploding death machine. In the more recent trailers you can see they did upgrade the armaments as well which is nice but really any purchase is better than building another Death Star. While the helmets may provide far too limited visibility it’s a better investment. The red is about where the old design had eye holes. Now they can see their sides! Wooooo! So lately Draco has been trying to win things. The other day Draco won 3 dollars. For you who may not know how much that is well think of it as about one Lego Minifigure. If you don’t have those in your country that is sad because they are cool. So anyway today Draco did a survey and they were like gift card. Draco would like a gift card. But here is the part that is actually relevant and ya know… the point. On this survey they asked what is the most important factor in your anime purchases. How can you ask Draco to pick just one. Ya breaken Draco’s heart survey… And the worst part, The Worst Part, was that “price” was an option. Draco wanted to pick something good like “Draco really loved the story”, “The soundtrack is amazing”, “The art was top notch and has withstood the test of time”, or the obvious answer “postcards”(Yes we all really want those post cards so keep em coming people). There are so many reasons and the one Draco had to pick was price. The prices on this sort of thing are insane. Say you really like Kill la Kill and want to watch it for as long as blu-ray isn’t outdated. You’re going to be paying around $60 for just 5 episodes. When you factor in the rest you end up at over $200. Draco can’t afford that, you can’t afford that(unless you can in which case lend Draco some money bucko. (This is a joke don’t feel the need to give Draco money yet)) and it’s honestly not worth that. Even the Melancholy of Haruhi Suzumiya the “complete”(i.e. half the series) series is going to run you over a hundred dollars. 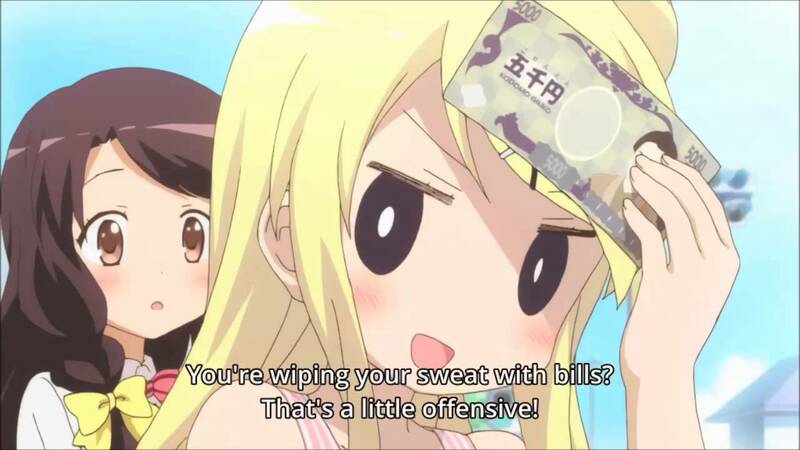 Anime fans should not have to deal with these atrocities and Draco should get to give better survey answers. Draco finished Running with Rifles the other day(finally) and it reminded Draco of an important part of game testing. Make sure everything works how it should. The people who made this game didn’t Draco guesses. This lead to the worst final mission part one Draco has seen in a while. Basically the idea was that you were alone even though the game is about being a faceless mass in a massive army and you had to destroy communication towers in the enemy base. You were desperately outmanned and you would have to destroy the towers to stop enemies from repopulating the area. As you did this the mission would become more doable as there would be less troops. The problem is they let the AI be too smart. While enemies could not spawn in the destroyed comm area they could spawn in the other areas, run out of their area into the lost one, and reman the defense. Since they weren’t in their area more troops appears and the endless army held the line. So it basically took hours and hours to wade through nonsense which never died to find these stupid radio towers and destroy them. Not even that was easy because you can’t destroy the towers with basic gear. Ya had to run to a shop, spend some currency, and then hope you didn’t die because that’ll be all down the drain. Thank goodness it was followed by a wonderful part 2 because Draco was very annoyed. You would think that with items being purchasable online that Draco would constantly make rash decisions and buy stupid things Draco doesn’t need. Lately it seems like the opposite is true. This interests Draco in ways that are boring and uninteresting to basically everyone else. Apparently that feeling at a store that you won’t be able to buy the item once you leave helps sell the item. So the thing that sells something to Draco at a convenience store is the lack of future convenience. Draco’s been playing a lot of Choice based games and in really every one the Stanley Parable rears its head and says choice doesn’t matter. People would run around spreading this philosophy and at a point it made Draco a bit sad. Win #1 This really isn’t a win in Draco’s book but it is a win. The Stanley Parable is trying to get a message across. They want you to play the game and receive the message. By receiving the message you are in fact winning the game. Strictly by sitting down and listening you are almost certain to win. Pretty darn easy. Win #2 During one ending the Narrator scoffs at the player for thinking the game can be beaten. He laughs as most people run from monitor to monitor to stop an explosive device from being detonated. It’s this part that set up the problem and presented the solution. The entire game was made off another game’s engine. There are two choices and for the most part only one is ever taken. They could get up, find the tools, and make their own ending. The key to beating a choice game in the sense of there being no choice is in fact fanfiction. When presented with two options at a restaurant, you can select one or the other like you do, or you can go home and make your own food. Now one could counter that by saying that there is a limited number of blah blah wrong. Every day new people are inspired by the things that other people chose to do and so forever throughout the existence of sentient beings there will be an infinity number of choices. The Stanley parable can be beaten simply by writing ” And Stanley blinked and found himself in bed. That dream was rather odd and he just happened to dream about dreaming in his dream, but regardless of that he realized that his job wasn’t very fun. He quit and started a bakery which became very popular with the locals of the area.”. Always remember your choices are not futile. You can just decide to say screw you universe and start a bakery, or not if you prefer. One way or another there may or may not be a bakery. If that bakery doesn’t feel meaningful enough you can start another bakery or even drive a taxi cab. Or not. Now the next question is is that meaningful. Well we could look at very successful fanfcition stories like The Disappearance of Nagato Yuki-chan and Sunrider Academy or we could go the simple route. Starting a bakery means that the world has one more bakery. It MEANS. It also means that there cannot be a potato farm or a book store in that same location. Can’t have a bank either. That is pretty meaningful. So you can in fact make meaningful choices thereby defeating the game. It’s not a win in the sense that they wanted but it is a win for humanity and that’s honestly better. Draco has a love hate relationship with episodic games. They can be absolutely fantastic like Life Is Strange and make you feel emotions but then your done. It’s over. See you in two months. Now sure normal games finish and you have to wait a year or more but the word episodic makes it feel like a week at most should be the wait time. Real episodes of Game of Thrones come out once a week but the game has significantly more time to wait. It’s still fun though. It’s just that the emptiness one feels after a story/show/game/mathematical equation is multiplied 5 or 6 times. A never-ending rain of anchors pulls at Draco’s heart. The especially nice part about Game of Thrones is that playing feels like having to talk to an authoritative figure. It can go really well and you might even like them as a person but once it’s over there is a sense of relief. The cameos are nice and the fact that it’s canon is cool but it feels like work. With Tales From The Borderlands there is this air that everything will be perfectly fine and the writing is some of the absolute best. In any other episodic game you would try to talk down people threatening you and worry about outcomes but in TFTBL you do the cool thing instead and it just feels better. Taunt the guy or guys with the gun(s) all you want. They break the usual formula that way and it feels refreshing. Also Fashionable socks. Actually fashionable everything. It looks great. Life is Strange is the exact opposite. DONTNOD has managed to shake the telltale choices never matter feel and actually make even watering a plant feel meaningful. The Stanley Parable teaches us that there is no choice but at least Life is Strange has branches and different outcomes rather than a railroad. They actually manage to build anticipation all the while working hard and putting their all into making quality work unlike some people who have decided they have an art style and left it at that. 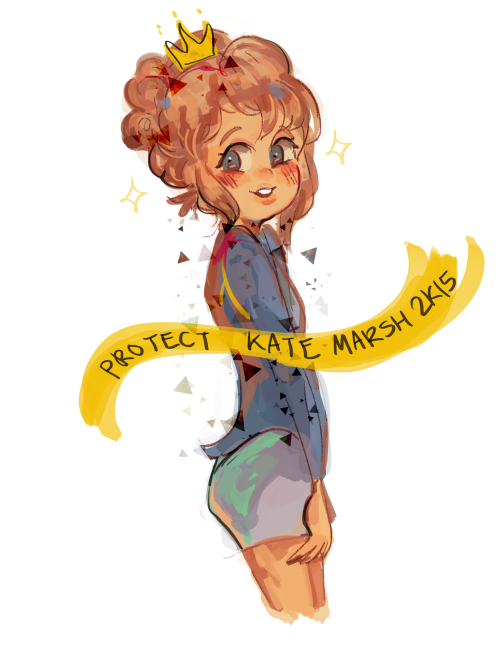 Also the character Kate Marsh is a precious angel and she must be protected from literally every other character because they’re all evil. Upon further investigation every character involving Dayeanne Hutton is precious. Also she has a blog and one post had these napkins with love letters on them. Just so you know this is the ghost of Draco typing this. Living Draco died of cuteness overload. If you have need of Living Draco he will respawn in about 3 minutes. Upon the uponed thought Draco has realized those napkins remind Draco of Victoria Grayson’s Chair on revenge. If ever Draco is obscenely wealthy a chair like this will be one of the first purchases. The next will be an author to write tons of witty biting quips to defeat all the other rich people. Purchase three is some sort of investment because all that is probably expensive. You gotta spend money to make money to spend money. Draco is an over prepared person. It may have to do with the putting things off tendency of Draco. Combined they become a team of on timely-ness Now we’ll move to the subject of made up words. Are they appropriate to use in your blog? The answer is yes. If it wasn’t yes Draco would be doomed so… Ya. If you disagree you are a total Eglorobalo. This isn’t just filler. Gosh that would be ridiculous. It’s not like Draco advertised this blog like 5 or six times. This isn’t even slightly a splash post for those new people. So today Draco came up with an idea with no outside help or other info than what is already in Draco’s noggin. The idea was trickle down economics. Well it was slightly better and more functional but really that’s what it was. Even though the original didn’t work, Draco’s happy to have thought of something some team probably took a month to develop back then. Shoulda hired Draco, stupid gov people. Today while shopping (Ya Draco did that today of all days) Draco saw a book that had a bunch of adjectives followed by “It’ll make you beg for more” . This reminded Draco that that is a really overused ending phrase thingy. Water, it’s wet, refreshing, and it’ll make you beg for more… especially in a hot and spicy desert. Umhm. Ya.